When Should I Treat The Winter Damage To Plants On My Property? -24. Extreme winter conditions in Northeastern Ohio are nothing new, but they do have a way of showing up unannounced. And while you and I might be ready for another brutal Cleveland winter, can you say the same for your commercial landscape? Whether from an unexpected winter storm, rain turning to ice or a sudden uptick in wind and warmth, winter damage to plants on your property can seem unavoidable. Each winter, our commercial landscape maintenance team fields a variety of calls from our clients in regard to common winter damage on their commercial sites like downed branches, trees bending under the weight of heavy snow or browning on evergreens. The following information will help you better understand the different types of winter damage to plants, along with when you should consider treating it. When we see something that’s broken or damaged, we want to repair it and make it better. Chalk it up to human nature. That’s why when we see our landscape under duress, we want to take action right away – especially if there’s a break in the weather. But not so fast. Here are some common examples of winter damage and the best time to treat them. With one big thaw under our belts, conditions have been more than ripe for snow mold. Not that you’ve wanted to, but you’ve probably seen it all over the place. Snow mold is a fungal disease that shows up under the snow on areas of turf that weren’t completely frozen at the time of accumulation. 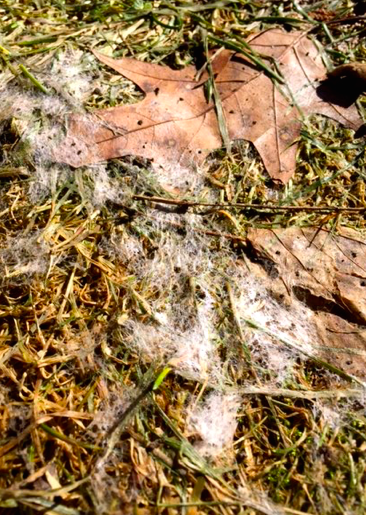 When the snow begins to melt away and expose your turf, snow mold is relatively easy to spot. It’s dense, web-like appearance is often found on brown patches of grass that are matted down and dead. It’s easier to prevent snow than treat it, but once you spot it — as soon as temps rise and snow melts away — you can immediately take some action to promote the drying out of your lawn and help remedy the situation. The most common thing to do with snow mold? Rake the affected area. This will break up the mold and help encourage drying to the damaged turf. If the snow mold is severe, contact your commercial landscaper and ask if a fungicide application is necessary. 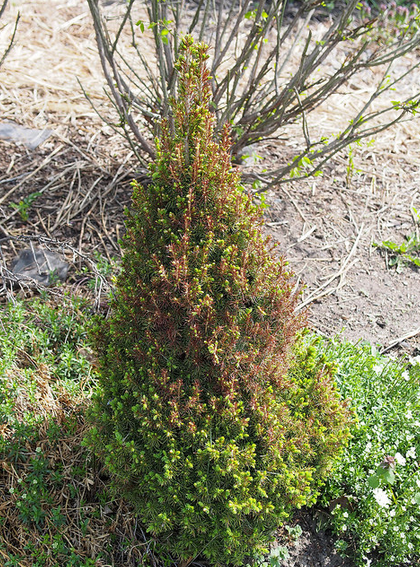 Common in evergreens, winter burn occurs when a plant loses more moisture than its roots can take in, particularly when the plant is exposed to intense sun and wind. Discoloration is a major sign of winter burn damage and typically found on the windward side of the plant. The foliage on affected plants will take on a burnt or rust-colored appearance. It’s important to play the waiting game when it comes to winter burn. Prune too early in the year and you can put a plant’s inner leaves at risk by exposing them too soon. Wait until the end of spring and for new growth to emerge before taking action. Prune off any damaged leaves and branches that haven’t been forced off by new growth. Then follow up with spring fertilization and thorough watering throughout the growing season; this can greatly improve the recovery time. Winter burn can be best avoided through proper prevention methods in the fall and early winter. When an unexpected freeze hits your landscape, any new growth stimulated by late summer/early autumn fertilizing or pruning can be susceptible to frost and other icy winter weather threats when temperatures drop. The result: new growth turns brown and sometimes black. This brown and black foliage isn’t very attractive. But avoid removing it now – it can actually help insulate the plant from additional damage. Wait until spring to pick your pruners back up, when new growth emerges and the last frost date is out of the picture. Damaged foliage and buds will usually fall off on their own. Pruning done to affected areas may include cutting dead stems all the way back and only removing the damaged parts on live stems – regrowth will take place when things warm up. When soil conditions fluctuate between freezing and thawing, shallow-rooted plants can be forced upward from the soil, exposing a vulnerable root system in the process. Ordinarily, a simple replant is required once warmer weather softens the soil. Whether from runoff or careless application, ice melt products have the potential to negatively affect the well-being of your commercial landscape. Salt can change the structure of your soil by making it too compacted and resemble drought-like conditions – inhibiting water and nutrient movement. Salt can also draw much needed moisture away from a plant’s roots. Plants under salt damage stress may exhibit leaf scorch – dried, burnt edges (and needles on evergreens will brown). It’s best to wait until temperatures rise above freezing, and in most cases that happens in early spring. Affected areas need a good detox. Flush salt damaged soils with deep, repeated waterings. The faster salt is leached from the soil, the sooner things can get back to normal. Also use fresh water to rinse the foliage and branches of any plants exposed to salt spray. 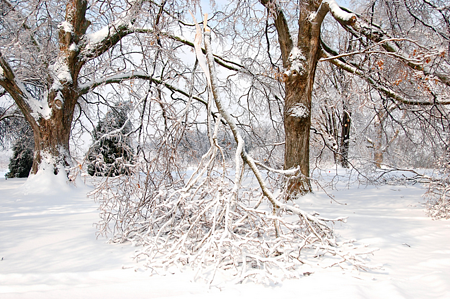 A severe winter storm that produces heavy snow and ice buildup will leave behind bent and broken branches in its wake. The real question for you: Do any of these damaged branches, stems or trunks present a hazard to the tenants and visitors on my property? If they do, call a professional to help you remove the threat from your commercial property immediately. If your property has branch breakage but no one is at risk of being harmed by it, wait until the end of winter before pruning. If there are severely broken branches in and around your landscape, cut branch stubs back to the nearest healthy branch or main stem/trunk. Concerned About Winter Damage To Plants In Your Commercial Landscape? 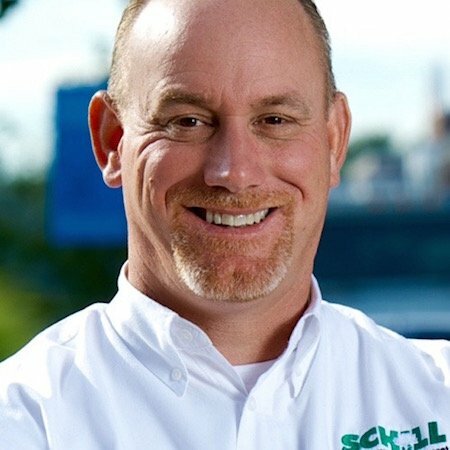 From proper landscape winterization and hardy plant selection to commercial snow and ice removal, Schill can help your commercial property get through another Northeastern Ohio winter in one piece. If there are signs of winter damage on your property, let the commercial landscape maintenance experts at Schill handle it. Call us any time at 440-327-3030, or fill out our simple web contact form, and we’ll get in touch with you.